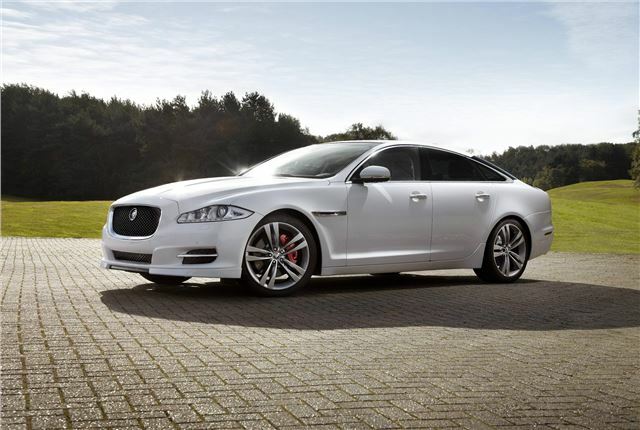 Jaguar’s flagship XJ saloon is now available with Sport and Speed option packs, both of which add aggressive exterior body parts and offer further interior trim colours and veneers. Additionally the Speed pack, which is exclusive to 5.0 V8 supercharged models, raises the electronic speed limit from 155mph to 174mph. Both short and long wheelbase XJs can be specified with the Sport and Speed Packs. The Sport pack is optional on almost all XJs in the range and provides aerodynamic enhancements to give the car a bolder, sportier look. There are also unique tailpipes and red painted brake callipers. The aerodynamic improvements are not only aesthetic but functional - a restyled front bumper and splitter improve air flow under the car and the rear spoiler increases downforce. It’s these changes that allow the increased top speed when the Speed Pack is specified. In the cabin are softgrain leather trimmed performance seats, which offer extra lateral support in ‘spirited’ driving. Leather is available in Jet or Jet and Ivory colours. Additionally, the interior trim features carbon fibre and piano black details. The Speed pack can be specified in addition to the Sport pack on 5.0-litre supercharged XJ models and an increases top speed to 174mph. The higher speed is made possible by a recalibrated engine management computer. The virtual instrument display has been recalibrated to take in the extra speed, and a tyre pressure monitoring system has been added to take into account the extra heat generated by tyres at sustained high speed. You can read more about the Jaguar XJ in our car-by-car review here.